Kalamata is the second most populous city of Peloponnese, after Patras, in southern Greece. Kalamata is also the capital and chief port of the Messenia regional unit and lies along the Nedon River. Kalamata is known as the land of the traditional Kalamatianos dance and Kalamata olives. 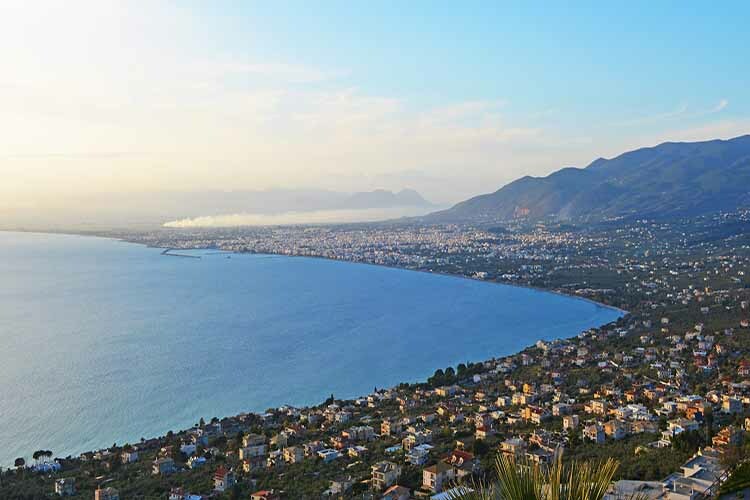 Browse the city of Kalamata, get to know its people and taste the local flavors. Only in this way you are going to discover the magic of the Messinian capital and you will enjoy a unique journey that you will never forget. There are many hotels in Kalamata city, escalating from the luxury hotel which can offer you any possible facilities to the comfortable but lower budget room. In our online booking website you can find the best hotel for you and your family in between hot hotel offers for Kalamata. In city of Kalamata you can find accommodation. The finest hotels with any needed comfort but also a majority of economic rooms to let in Kalamata can serve your needs too. Our travel agency gives you the opportunity to make booking for yor accommodation from the comfort of your home. The day you decide to go a trip to Kalamata, visit our website. Set up your preferences and make your search for everything that you need for your vacations, using the available online booking system. Kalamata is the ideal place to beggin engaging with a lot of activities. Choose right and book immediately your activities.